Summary: The continent of The Stillness is in perpetual motion. The only relief comes from orogenes, individuals who can quell earthquakes and bring calm to the earth. While all of society benefits from their gifts, the orogenes must cope with outside forces that seek to manipulate, control, and oppress their people. Review: It is always tricky to objectively rate a title that has earned such critical praise. I had heard wonderful things about N.K. 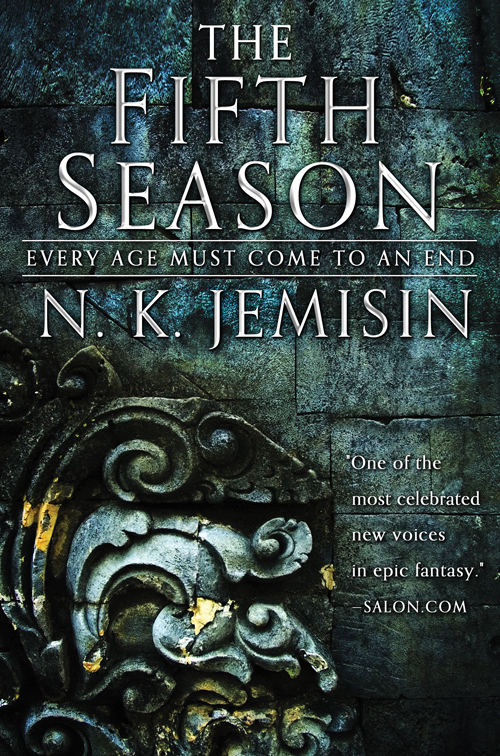 Jemisin’s The Fifth Season, and while it didn’t quite live up to the hype, it also didn’t disappoint. As a reader, it’s always refreshing to be dropped into a world you know nothing about. Jemisin uses colloquial slang and terms several times before it’s clear from the context what they mean. This provided a welcome challenge, but it also delayed my ability to shift attention to what was actually happening until about halfway through the book. Jemisin establishes such an interesting and unique world that was fascinating to uncover. In a way it didn’t feel like fantasy, as the world is gritty, fully realized, and there’s no talk of magic. Everything just is as it is, and it’s written in a way that makes it all seem very believable. I’m interested to see where Jemisin takes this world and these characters next.